Sourcing locally is important to us and it means a lot to our customers, too. The word ‘local’ is sometimes over-used yet, without the evidence to back it up, it has no meaning. 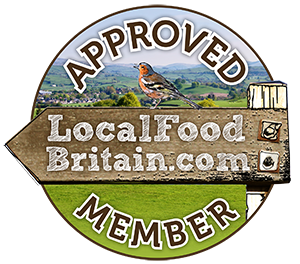 For us, ‘local’ means understanding the provenance of what we serve - sourcing where possible from within a short distance of the farmhouse - but it’s also about quality. The two have to go hand in hand, because our chefs quite rightly insist on cooking with only the very best ingredients. Of course, when it comes to sourcing locally, it helps that Botley Hill Farmhouse is located in the heart of the historic Titsey Estate near Oxted in gorgeously rural Surrey. That said, all the produce that makes it to our kitchen has to be top notch, no matter what its origin. So we’re very fortunate that the beef we source from within the Titsey Estate is highly rated by our chefs for its wonderful flavour and tenderness. Rearing meat of such excellence is no mean feat. It takes an expert like Bill Peters (pictured), who farms the Titsey herd. 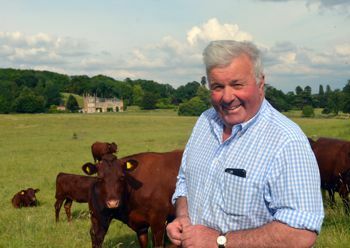 Bill – who was born and bred in Lewes, Sussex and is a sought-after judge at agricultural shows - has managed and lived at Pitchfont Farm on the estate for 31 years. He raises his herd of Sussex cattle against the beautiful backdrop of Titsey Place manor house, whose origins lie in the 16th century. The herd started out in 2006, with just six cows and a bull. Before that, Bill managed a 170-strong dairy herd. He decided on the native Sussex breed for his beef cattle because these docile beasts are strong and hardy (they were traditionally used to pull ploughs) and good grazers. They also produce excellent meat. The cattle graze pastures over the farm’s 650 acres, before being finished on home-grown barley and other grains, mainly grown on the farm. While the raising of the beasts is vitally important, so is the butchering. Our chefs need a variety of cuts and these are prepared for us by another expert, William Walton, who owns Outwood Butchers a few miles from Titsey. The beef is hung and then cut to our chefs’ specifications, ensuring it’s just right for each dish. We are mindful to take half a beast, using as much of the meat as we possibly can, from burgers to steaks and our highly-popular Sunday roasting joints. Titsey beef is also on the menu at our sister inn, The White Bear at Fickleshole. Working with Bill and William is very important to us: three local businesses supporting each other to provide customers with the best quality produce. So when it comes to beefing up our local credentials, we simply let the food do the talking.